Only £5.87! INCREDIBLE OFFER! Inspirational rap! 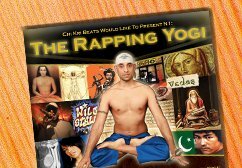 17 track CD - a MUST-HAVE-have for yogis! Gatefold Cover! Sample Track - "The Key"
25% off! 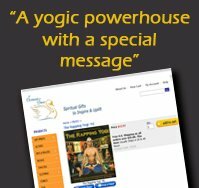 Yoga - Connecting People! 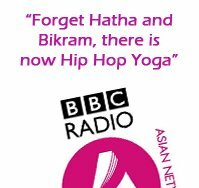 "I recently met Neil whilst filming a Chi Kri Special episode on Hip Hop Yoga... 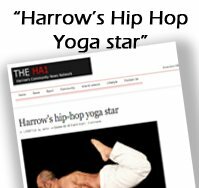 I must say how much fun it was to get involved... it was great to work out to music that I enjoyed too!" Register Interest NOW for The Summer Retreat 2018! Sign Up For a New Class! Register Interest NOW for The Summer Retreat 2018! Sign Up For a New Class! Register Interest NOW for The Summer Retreat 2018! Sign Up For a New Class! Register Interest NOW for The Summer Retreat 2018! Sign Up For a New Class! Register Interest NOW for The Summer Retreat 2018! Sign Up For a New Class! Register Interest NOW for The Summer Retreat 2018! Sign Up For a New Class! Register Interest NOW for The Summer Retreat 2018! Sign Up For a New Class! Register Interest NOW for The Summer Retreat 2018! Sign Up For a New Class! Chi Kri means using your highest energy in all your actions - physical, mental, spiritual and feelings. It means drawing on the soul for all expressions. It's a way of life, a way of being, a way of winning! Neil Patel has been a teacher since 19. He comes from a family and spiritual lineage of teachers and Masters. Chi Kri is both modern and ancient, reaching far and wide into the hearts of its students and friends. Chi Kri means using your highest energy in all your actions - physical, mental, spiritual and feelings. It means drawing on the soul for all expressions. It's a way of life, a way of being, a way of winning! Neil Patel has been a teacher since 19. He comes from a family and spiritual lineage of teachers and Masters. Chi Kri is both modern and ancient, reaching far and wide into the hearts of its students and friends. 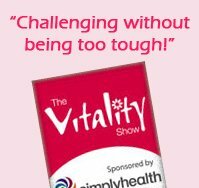 Chi Kri means using your highest energy in all your actions - physical, mental, spiritual and feelings. It means drawing on the soul for all expressions. It's a way of life, a way of being, a way of winning! Neil Patel has been a teacher since 19. He comes from a family and spiritual lineage of teachers and Masters. Chi Kri is both modern and ancient, reaching far and wide into the hearts of its students and friends. Chi Kri means using your highest energy in all your actions - physical, mental, spiritual and feelings. It means drawing on the soul for all expressions. It's a way of life, a way of being, a way of winning! Neil Patel has been a teacher since 19. He comes from a family and spiritual lineage of teachers and Masters. Chi Kri is both modern and ancient, reaching far and wide into the hearts of its students and friends. Chi Kri means using your highest energy in all your actions - physical, mental, spiritual and feelings. It means drawing on the soul for all expressions. It's a way of life, a way of being, a way of winning! Neil Patel has been a teacher since 19. He comes from a family and spiritual lineage of teachers and Masters. Chi Kri is both modern and ancient, reaching far and wide into the hearts of its students and friends. Chi Kri means using your highest energy in all your actions - physical, mental, spiritual and feelings. It means drawing on the soul for all expressions. It's a way of life, a way of being, a way of winning! Neil Patel has been a teacher since 19. He comes from a family and spiritual lineage of teachers and Masters. Chi Kri is both modern and ancient, reaching far and wide into the hearts of its students and friends. Chi Kri means using your highest energy in all your actions - physical, mental, spiritual and feelings. It means drawing on the soul for all expressions. It's a way of life, a way of being, a way of winning! Neil Patel has been a teacher since 19. He comes from a family and spiritual lineage of teachers and Masters. Chi Kri is both modern and ancient, reaching far and wide into the hearts of its students and friends. Chi Kri means using your highest energy in all your actions - physical, mental, spiritual and feelings. It means drawing on the soul for all expressions. It's a way of life, a way of being, a way of winning! Neil Patel has been a teacher since 19. He comes from a family and spiritual lineage of teachers and Masters. Chi Kri is both modern and ancient, reaching far and wide into the hearts of its students and friends.